A list of around 50+ Important PowerShell Interview Questions, Resources, Topics and Tips that I’ve collated from my own personal interview experience in Windows PowerShell Scripting and Automation space, which I do a lot! Just to stay in touch with basics and keeping my preparation in tune. This is not a constant list and will grow and get updated on frequent basis and if you feel like adding some questions or topics, feel free to do a Pull Request on the Github Repository for this. 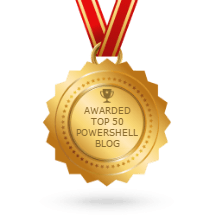 Many of the topics/questions may not come directly in your interview, but it would be a good idea to familiarize with them, in order to understand PowerShell better. Which will give you an edge in the interview and definitely leave a better impression on the interviewer if these topics are explained well. PowerShell is a shell designed especially for system administrators. Interactive prompt and a scripting environment. This is the default. PowerShell will not run any script, including PowerShell profiles. PowerShell will run any script that you create locally. But any script that has been detected as coming from the Internet, such as via Internet Explorer, Microsoft Outlook, Mozilla Firefox or Google Chrome must be digitally signed with a code signing certificate that is trusted by the computer. PowerShell will not run any script unless it has been digitally signed with a trusted code signing certificate. PowerShell will make no attempts to hinder script execution and will run any script. If the script comes from an untrusted source, like the Internet, you will be prompted once to execute it. Though it is not preferred. There is also a Bypass policy, which I don’t recommend for daily use. This policy will run any script without question or prompting. The assumption is that you have taken steps outside of Nothing is blocked and there are no warnings or prompts.PowerShell to verify the safety and integrity of the script. There is no execution policy set in the current scope. If the execution policy in all scopes is Undefined, the effective execution policy is Restricted, which is the default execution policy. What is the order in which execution policy is evaluated ? Uses DCOM/RPC. Uses old-style native code providers and a repository. More or less deprecated, meaning it’s not a focus area for further improvement or development. You’re connected to “live” objects and can play with them. Uses WS-MAN (via WinRM service). Supports old-style native code providers and a repository, as well as new-style MI providers. The way forward. If something can talk to “NEW WMI” it should be able to talk to OMI, also. You’re not connected to “live” objects, and have an essentially stateless relationship with the remote machine. Uses WS-MAN (OMI code includes the protocol stack). Supports only new-style MI providers. Available on any implementing platform. Also the way forward. If something can talk to OMI, it should be able to talk to “NEW WMI” also. Defines the standard. Created by DMTF. Early versions were implemented as “OLD WMI” by Microsoft, newest version implemented both in “NEW WMI” and OMI by Microsoft and others. In 2012 with Windows Management Framework 3, Microsoft releases a new version of WMI. They fail to give it a unique name, which causes a lot of confusion, but it complies with all the latest CIM specifications. The PowerShell cmdlets that uses this new WMI has CIM in their noun part of the cmdlet, like Get-CimInstance, Get-CimClass, Invoke-CimMethod But these aren’t CIM because CIM isn’t a protocol. They’re talking WS-MAN, which is what the new CIM standard specifies. It is an open standard defining a SOAP-based (Simple Object Access Protocol) protocol for the management of servers, devices, applications and various Web services. Vendor Neutral, common way for systems to access and exchange management information across the IT infrastructure. Microsoft has implemented the WS-Management standard in Windows Remote Management (WinRM). WinRM is a feature of Windows Vista that allows administrators to remotely run management scripts. It handles remote connections by means of the WS-Management Protocol, which is based on SOAP (Simple Object Access Protocol). Used to connect LIVE objects on the remote machine. That meant you could get a WMI instance, execute methods, change properties. The RPC protocol was designed for that kind of continuous back-and-forth. Describes variables that store state information for PowerShell. These variables are created and maintained by PowerShell. $$ – Contains the last token in the last line received by the session. $? – Contains the execution status of the last operation. It contains TRUE if the last operation succeeded and FALSE if it failed. $^ – Contains the first token in the last line received by the session. $_ – Same as $PSItem. Contains the current object in the pipeline object. You can use this variable in commands that perform an action on every object or on selected objects in a pipeline. $Args – Contains an array of the undeclared parameters and/or parameter values that are passed to a function, script, or script block. When you create a function, you can declare the parameters by using the param keyword or by adding a comma-separated list of parameters in parentheses after the function name. $Error – Contains an array of error objects that represent the most recent errors. The most recent error is the first error object in the array ($Error). $Home – Contains the full path of the user’s home directory. This variable is the equivalent of the %homedrive%%homepath% environment variables, typically C:\Users<UserName>. $OFS – $OFS is a special variable that stores a string that you want to use as an output field separator . Use this variable when you are converting an array to a string. By default, the value of $OFS is ” “, but you can change the value of $OFS in your session, by typing $OFS=”<value>”. If you are expecting the default value of ” ” in your script, module, or configuration output, be careful that the $OFS default value has not been changed elsewhere in your code. $PID – Contains the process identifier (PID) of the process that is hosting the current Windows PowerShell session. New-PSDrive -Persist -Name "y" -PSProvider "FileSystem" -Root   "\\localhost\filemov"
How to form credentials objects in PowerShell? How to find installed applications on a Windows Computer? Use the Get-ItemProperty cmlet to pull installed softwares from the registries. Searching the registry is a lot faster and can return some other useful information information such as the UninstallString. How to identify if a windows machine is 32/64 bit? How to find operating system name/version? The #Requires statement prevents a script from running unless specific conditions the PowerShell version, modules, snap-ins, module and snap-in version, and edition prerequisites are met. If the prerequisites are not met, PowerShell does not run the script. Specifies ServiceController objects that represent the services to stop. Enter a variable that contains the objects, or type a command or expression that gets the objects. Specifies the new alias. You can use any alphanumeric characters in an alias, but the first character cannot be a number. Specifies the name of the cmdlet or command element that is being aliased. A pipeline is a series of commands connected by pipeline operators (|) or ASCII 124. Each pipeline operator sends the results of the preceding command to the next command. A very powerful command chain or “pipeline” that is comprised of a series of simple commands. Variables and functions that are present when PowerShell starts have been created in the global scope. This includes automatic variables and preference variables. This also includes variables, aliases, and functions that are in your PowerShell profile. The current scope. The local scope can be the global scope or any other scope. The scope that is created while a script file runs. Only the commands in the script run in the script scope. To the commands in a script, the script scope is the local scope. Items in private scope cannot be seen outside of the current scope. You can use private scope to create a private version of an item with the same name in another scope. How to extend a Boot Partition using PowerShell? How to write PowerShell scripts that can withstand reboots or Interruptions? How to find free space on a drive using PowerShell? PowerShell does not have support for creating types directly, but instead favors monkey patching using PowerShell’s Adaptive Type System (ATS) to add variables, properties, methods, and ScriptBlocks to a PSObject instance. How to Rename a Variable? How to find the Largest File in a Folder? The use ConvertTo-SecureString and ConvertFrom-SecureString without a Key or SecureKey, Powershell will use Windows Data Protection API (DPAPI) to encrypt/decrypt your strings. This means that it will only work for the same user on the same computer. Using a Key/SecureKey, the AES encryption algorithm is used that allows you to use the stored credential from any machine with any user so long as you know the AES Key that was used. How to take Passwords input from users in a secure way? What is cryptographic algorithm used in ConvertTo-SecureString ? Explain what is the function of $input variable? Contains an enumerator that enumerates all input that is passed to a function. The $input variable is available only to functions and script blocks (which are unnamed functions). In the Process block of a function, the $input variable enumerates the object that is currently in the pipeline. When the Process block completes, there are no objects left in the pipeline, so the $input variable enumerates an empty collection. If the function does not have a Process block, then in the End block, the $input variable enumerates the collection of all input to the function. You have a script which uses Read-Host to prompt the user for an IP address. You need to make sure the user inputs a valid IP address. How would you do that ? Advanced functions uses CmdletBinding attribute to identify them as functions that act similar to cmdlets. Out-Printer sends output to a printer. PowerShell remoting to connect to Server-1 which then attempts to connect from Server-1 to Server-2 but the second connection fails, this is a Double Hop issue. Because, PSRemoting authenticates via Network Logon which works by showing possession of the credential, but since remote server doesn’t have the credential, it fails! the second Hop Server-1 to Server-2. PowerShell provides the CredSSP option which performs “Network Clear-text Logon” instead of a “Network Logon”. CredSSP Network Clear-text Logon sends clear-text password to the remote Server-1 in clear-text, which eventually is used to authenticate to Server-2, in the second hop. This is not constrained delegation. CredSSP passes the user’s full credentials to the server without any constraint. CredSSP lets an application delegate the user’s credentials from the client to the target server for remote authentication. CredSSP provides an encrypted Transport Layer Security Protocol channel (TLS). The client is authenticated over the encrypted channel by using the Simple and Protected Negotiate (SPNEGO) protocol with either Microsoft Kerberos or Microsoft NTLM. How to enable PSRemoting on a server? # The asterisk is a wildcard symbol for all PCs. If instead you want to restrict computers that can connect, you can replace the asterisk with a comma-separated list of IP addresses or computer names for approved PCs. The results you receive from a remote computer have been serialized into XML, and then deserialized on your computer. In essence, the objects placed into your shell’s pipeline are static, detached snapshots of what was on the remote computer at the time your command completed. These deserialized objects lack the methods of the originals objects, and instead only offer static properties. The proxy commands look like the real commands, but they’re functions, NOT Cmdlets. SOAP cannot make use of REST since SOAP is a protocol and REST is an architectural pattern. REST can make use of SOAP as the underlying protocol for web services, because in the end it is just an architectural pattern. SOAP uses service interfaces to expose its functionality to client applications. In SOAP, the WSDL file provides the client with the necessary information which can be used to understand what services the web service can offer. REST use Uniform Service locators to access to the components on the hardware device. The configurations are sent/pushed manually towards one or more units that we call “node”. This action is done by an administrator. A “Pull Server” is created and the nodes contact this server at regular intervals so as to obtain their configuration. FAAAANTASTIC Article. Picked up soooo many tips.Thank you!